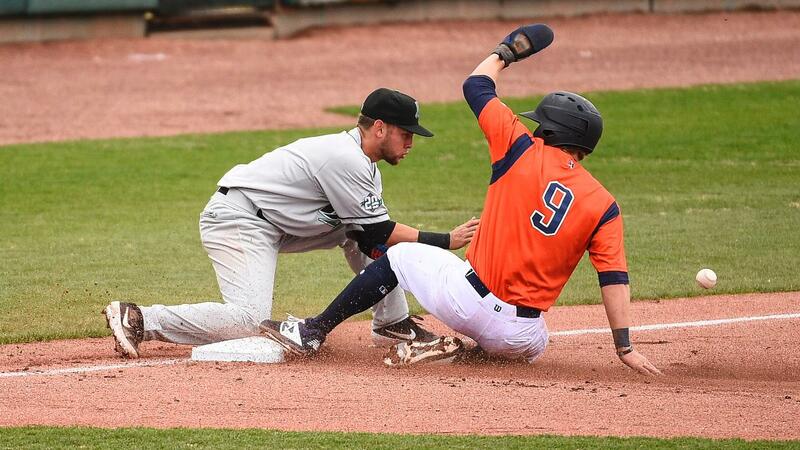 Eastlake, OH- The Bowling Green Hot Rods were held to four hits in a 7-0 shutout loss to the Lake County Captains in the third game of a four-game set on Wednesday night at Classic Park. The Hot Rods fall to 3-4 on the season and will play the series finale with the Captains on Thursday with a 5:30 PM CDT first pitch. Bowling Green trailed early after the Captains took a 3-0 lead, chasing Hot Rods' starter Shane McClanahan from the game in the first inning. Tyler Freeman and Jose Fermin started off the bottom of the first with walks and Freeman scored on an RBI single off the bat of Mitch Reeves for a 1-0 lead. Fermin scored when McClanahan attempted a pickoff to second but made an errant throw to make it 2-0. Reeves scored when Josh Rolette doubled to right, giving the Captains a 3-0 advantage. Lake County added to their lead in the second against Hot Rods reliever Steffon Moore. With one out, Freeman doubled to right and quickly scored when Fermin clubbed his first home runs of the season to make it a 5-0 game. Reeves singled and went to third on an error, but Moore struck out Ruben Cardenas while Josh Rolette grounded out to first to end the frame. The Captains added a run in the fourth, chasing Moore from the game. With one out and Fermin on first, Reeves singled to right and moved Fermin to third base. Ruben Cardenas singled to left, scoring the man from third and making it a 6-0 ballgame. Lake County added a run in the fifth and went on to defeat Bowling Green 7-0 in the third game of the series. McClanahan (1-1) took the loss and tossed 0.1 innings while allowing three runs on two hits with three walks and a strikeout. Moore lasted three innings out of the bullpen and allowed three runs on seven hits with five strikeouts. Trey Cumbie went 2.2 innings while allowing one run on a hit with five walks and six strikeouts. Jake Palomaki, who started the game playing third base, retired the final six hitters of the game in order. Notes: Bowling Green struck out 12 Captains… The pitching staff has struck out 34 total hitters in the first three games of the series… Hot Rods pitching issued a season-high eight walks… It surpasses the previous high of seven, which was set during the second game of yesterday's double-header… Bowling Green was held to their lowest hit total of the season on Wednesday with four hits… Bowling Green is 1-3 when wearing their blue jerseys… McClanahan's 0.1 innings of work is the shortest start of his career… He also allowed more walks (three) on Wednesday than any other game of his career… Wednesday was the second time this season the Hot Rods were shutout this season… The Captains will host the Hot Rods for the series final on Thursday with a 5:30 PM CDT first pitch… Bowling Green will send RH Joe Ryan (0-0, 9.00) to the mound while Lake County will counter with LHP Raymond Burgos (1-0, 0.00)… Fans can catch all the action with Shawn Murnin on Willie 107.9 FM, as well as, with their smart phones via the MiLB First Pitch app and TuneIn Radio app.